Drawing its name from the magnificent river flowing through the Ozarks, White River Marine Group™ (WRMG) is the world’s largest builder of fishing and recreational boats by volume. WRMG is also a member of Springfield, Missouri-based Bass Pro Group, a multifaceted organization that includes Bass Pro Shops®. 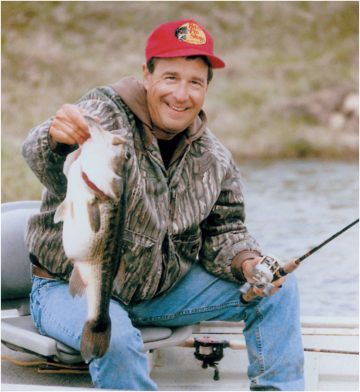 Founded by Johnny Morris, Bass Pro Shops is North America's premier destination retailer with a legacy of providing boaters, anglers, hunters and other outdoor enthusiasts innovative, quality gear to experience and enjoy the Great Outdoors. Together, WRMG and Bass Pro Group have a rich heritage in Missouri and Arkansas with origins dating back to the 1960s and '70s. Like Bass Pro Shops, WRMG brands have a long history of game-changing innovations and quality products. Noteworthy milestones include producing the first ready-to-fish boat, motor and trailer package, creating the modern bass boat and helping to pioneer sportfishing boats that were more accessible to anglers and their families. Not to mention multiple CSI awards for Excellence in Customer Satisfaction from the National Marine Manufacturers Association. From tournament bass angling to Great Lakes walleye runs, wakeboarding to entertaining family and friends, bays to bluewater, WRMG boats are designed and developed by boaters and anglers to ensure every model is ready for many years of on-the-water adventures. 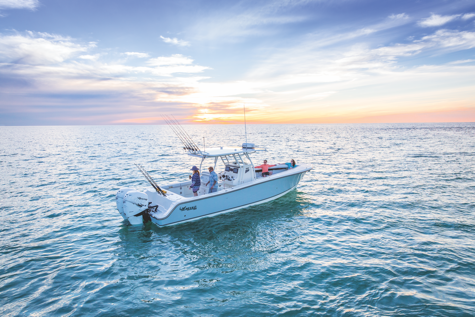 White River Marine Group manufactures and distributes quality boats, offering excellent performance, innovation and value, and provides world-class service so everyone can experience the joy of fishing and boating. For nearly 40 years, TRACKER® all-welded aluminum boats have been helping families catch fish and make memories. 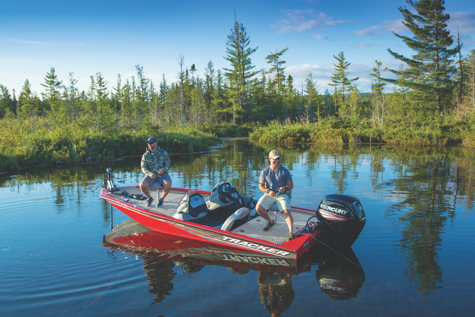 Driven by a passion for perfection, RANGER® Boats has almost 50 years of experience delivering fiberglass and aluminum fishing boats that provide unparalleled craftsmanship, performance, innovation and strength. 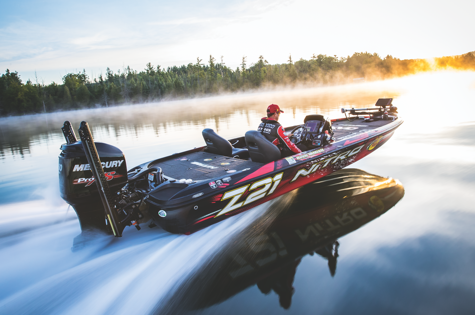 NITRO® high-performance boats are pure fishing machines designed to make you a champion whether you're chasing walleye up north or big bass in the south. Quality. Innovation. Safety. 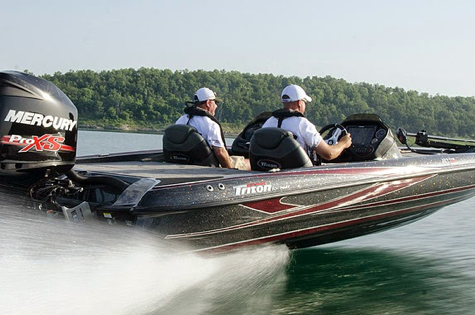 TRITON goes to great lengths to ensure every fiberglass and aluminum fishing and family boat they produce is as safe, strong and fishable as possible. 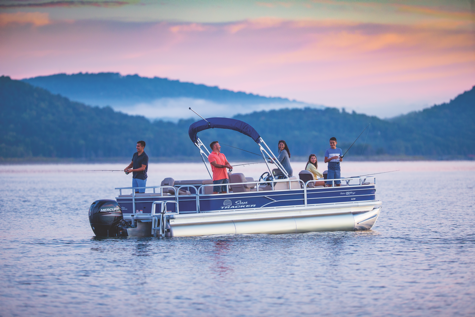 SUN TRACKER® provides a full lineup of fishing and recreational pontoon boats designed to bring family and friends together for the perfect day on the water. REGENCY® is a limited line of luxury pontoon boats crafted to whisk boaters away on elegant outings for years to come. Tie on a tube. Toss out a lure. Take a cruise. TAHOE® fiberglass runabouts and deck boats help families escape to their own personal oasis for the ultimate playtime. Perfect saltwater predators, the MAKO® line-up of inshore and offshore boats are built tough to keep you at the top of the food chain. 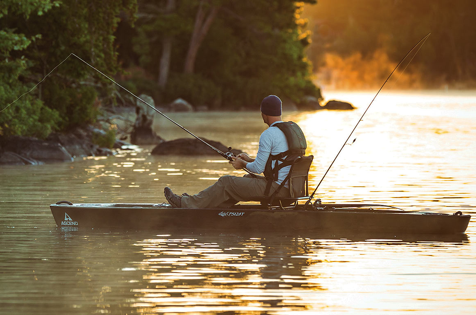 Ascend® offers top-quality, rotomolded fishing and recreational kayaks in both sit-in and sit-on-top versions. 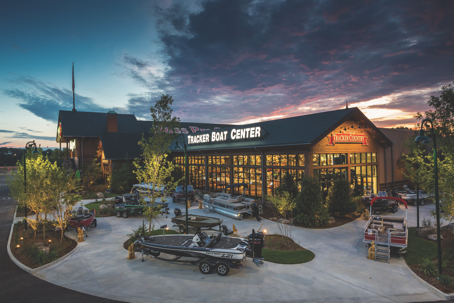 Tracker Marine Boat Center (TMBC) represents the 130-plus Boating Center locations—more than 110 dealerships inside Bass Pro Shops®/Cabela’s® and 19 freestanding Tracker Boating Center locations—across North America. TMBC is the largest volume boat retailer in the world, featuring seven world-class boat brands. It is also the world’s largest Mercury® outboard retailer and America’s number one Textron Off Road® ATV/UTV dealer, as well as the first retailer to offer Tracker Off Road™ ATVs and UTVs. 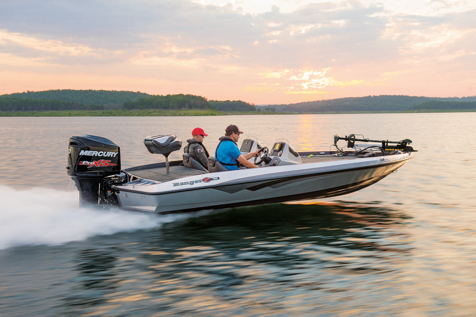 In addition to sales, every location has a Power Pros™ Service Center that offers full-service maintenance and repair for many boat and ATV/UTV brands, as well as full, certified service on Mercury and MerCruiser® motors. TMBC offers boat buyers a one-of-a-kind experience. For one, our dedication to the outdoors is completely evident in the highly-detailed, outdoor-themed displays found in every Bass Pro Shops/Cabela’s Boating Center location. In addition, our sales consultants aren’t commissioned, so they focus on helping customers find the boat that best fits their needs. And we were, and still are, the first and only retailer to offer nationally advertised NO HAGGLE NO HASSLE® pricing on all our boats. All so we can provide buyers top-quality, full-featured boats at attractive prices, every day, everywhere. Finally, every location is a Marine Five Star Certified Dealer. This means that from initial contact through years of ownership, we are deeply committed to providing the absolute highest level of customer service possible, validated by awards for excellence in customer service. Plus, our sales associates are extremely knowledgeable about the products we offer, making them perfect for helping anyone find exactly what they need. 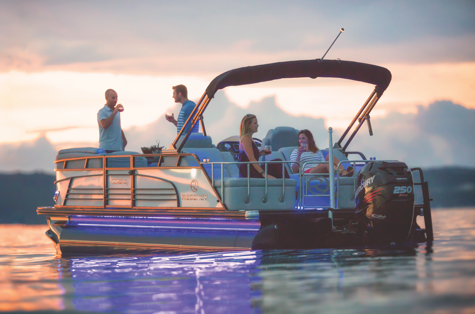 The result is that we don’t just sell world-class boats and off road vehicles—we sell years and years of outdoor memories, fun and peace of mind. In addition to our own stores, WRMG boats are offered at more than 500 quality dealers across North America. WRMG boats are also available at a large number of international dealers around the world. White River Financial Services (WRFS) is a market leader in helping boat buyers obtain financing. We have decades of lending experience and provide financial services specially designed for the marine and outdoor industries. With access to many top national and regional lenders across the country, our financing specialists are dedicated to helping you obtain the right loan, quickly and easily. 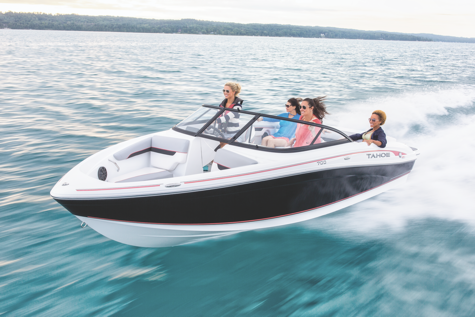 In addition, we offer factory-backed Premier Protection Plans with the purchase of any new or used boat bought at participating dealers. The plans help with unexpected repair bills, so you can get back on the water faster! Let us show you the difference we can make with our wide range of financial services. Then join the thousands of boating and outdoor enthusiasts nationwide who depend on WRFS for boat loans.